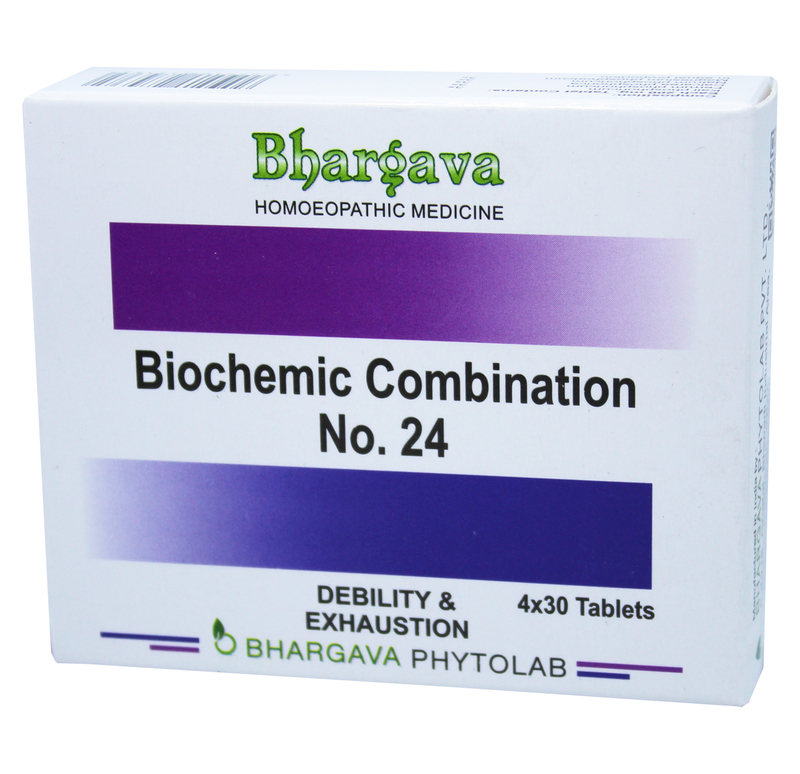 Bio Combination 24 helps in overcoming the problem of debility and exhaustion. Doctor Bhargava Bio Combination no. 24 is a result of techniques perfected over 100 years of practice. It is helpful for physical and mental exhaustion due to overwork. It is also helpful for anxiety, poor memory and poor concentration with lack of vitality. Start taking Homeopathic medicine today and get the best treatment.